With over 33 years of experience, Dr. Carol Galliano is skilled in safe dental amalgam removal in Baton Rouge. 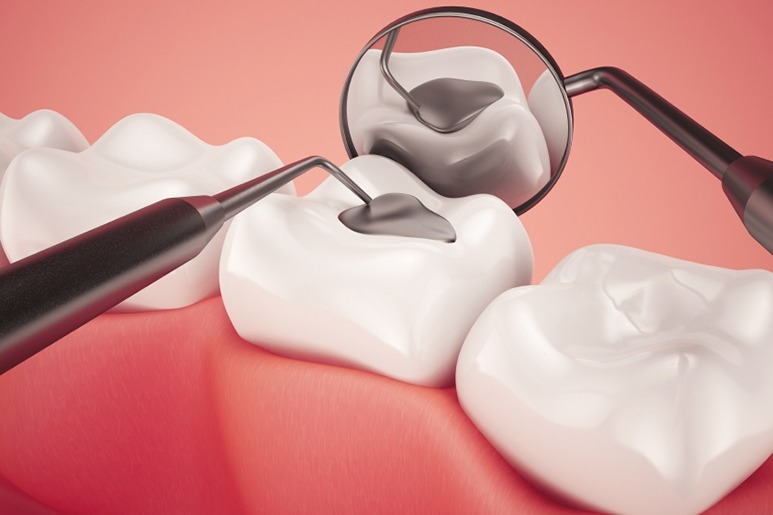 Dr. Galliano and his staff of dental professionals are trained in proper techniques and safety protocols for removing amalgam used in previous dental work. Located at 2915 South Sherwood Forest, Dr. Galliano’s state-of-the-art facility has provided cosmetic and family dental care to residents across the Baton Rouge, Gonzales and Denham Springs communities for over 30 years. Dental amalgam, often recognized as “silver” fillings and crowns, is a mixed metal material that was commonly used in dental procedures to provide strength to decayed tooth structure. With advancements in dental technology and products that provide better strength as well as aesthetic results, many patients are choosing safer materials to replace their old silver fillings. A composite (tooth colored) filling is used to repair a tooth that is affected by decay, cracks and fractures. The decayed or affected portion of the tooth will be removed and then filled with a composite filling. Today, patients have better options for restorative fillings and crowns that are stronger, longer lasting, and biocompatible with our body’s natural state. Patients often seek safe removal of their dental amalgam to replace it with newer materials such as porcelain or resin composite restorations that return their teeth to a more natural color and appearance. Dr.Galliano uses advanced techniques to safely and effectively remove the mercury amalgam fillings. He has state of the art filtrate systems that keep the materials out of the air. This is one part of the popular Huggins Method that is used for safely removing amalgam fillings. When the tooth is numb, Dr.Galliano will remove decay and thoroughly clean out the cavity to prepare for the new filling to be placed. How Do I Know if I Need Amalgam Removal? If you have old silver fillings with corrosion (black lines) around the margins, then the fillings are leaking and need to be replaced. Dr.Galliano takes the comfort of his patients very seriously, the procedure is pain free. Fillings can last anywhere from 10-15 years depending on the patient's home care and nutritional habits. The quality of material also is a determinant in the longevity of a filling. Fillings are like tires they wear out and must be replaced when the material wears out and bacteria starts to form a new cavity underneath an old filling. How can I make my fillings last longer?